With his kitchen beckoning for a remodel, Newton Ely of Gibsonville, North Carolina was determined to find an eye-catching and unique countertop. Disappointed with the various options at home improvement stores and with his background in concrete construction, his logical choice became a custom concrete countertop. He found (online) and contacted Turning Point Innovations of Charlotte,North Carolina. They introduced him to the Xtreme Series System from SureCrete Design Products. 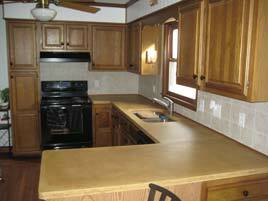 Turning Point Innovations helped Newton pick out the perfect color, design, and sink cutout for his new countertop. With this help, and several hours of instruction,Newton had the confidence to tackle the fabrication of his first concrete countertop. His fabrication journey began with high quality melamine (which he desired for the perfectly smooth surface it would produce), measuring the area to cover and building the forms to his desired specifications. 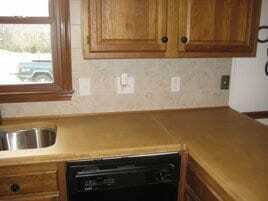 The countertop surrounding the sink area was made in three pieces. They were each made to have 1¾ inch profile and only ¾ inch thick in the center. The sink cutout was created by cutting inch-and-a-half foam to the necessary shape so as to leave a void when poured around. 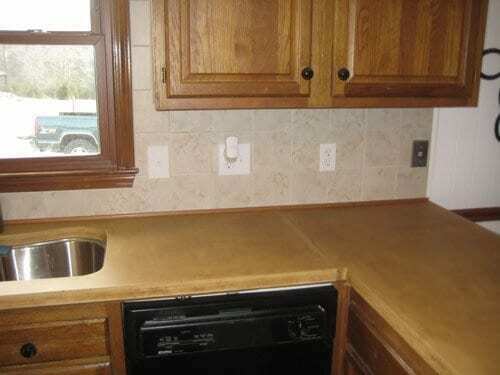 For the countertop, he used SureCrete’s easy to use two-part system of Xtreme Series PreCast and Modifier. He achieved the uniform color throughout with Integral Color packs that were added to the mix. 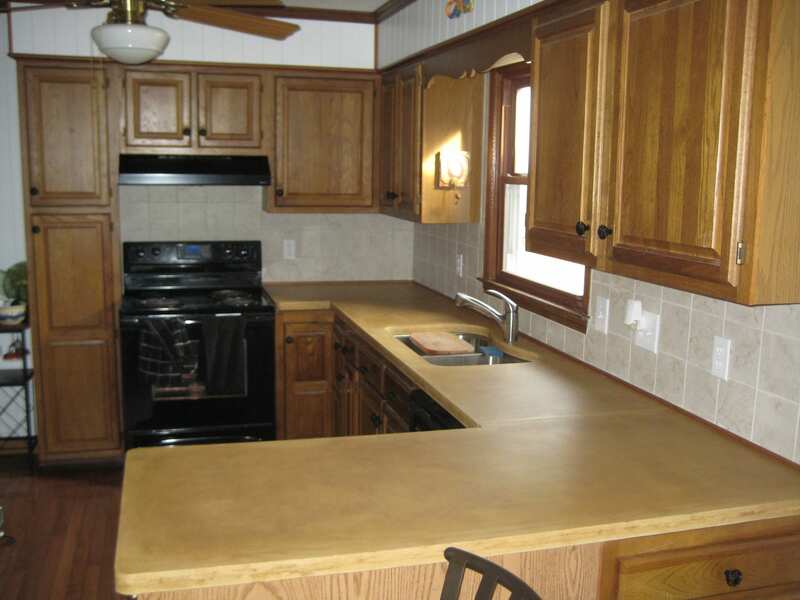 He desired a matte finish on his custom countertop so he used SureCrete’s XS-327 Hybrid Water Based Polyurethane. This low-VOC sealer was specifically designed for use with Xtreme Series PreCast; it is highly durable and ideal for the wear and tear kitchen countertops undergo. Newton dedicated several hours a day to his project and in just one week his kitchen had a custom concrete countertop that was exactly what he was looking for. This first-timer was impressed with the quality and strength of the finished product he already as plans for future projects.